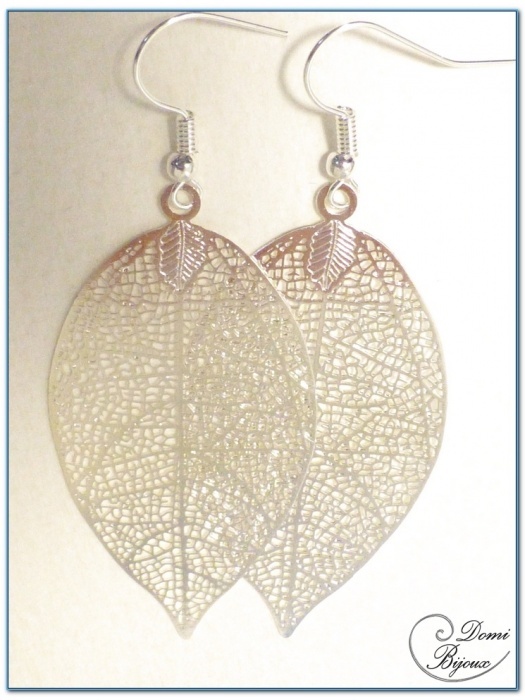 This fashion earrings silver finish are made with two 50 mm high filigree leaves . 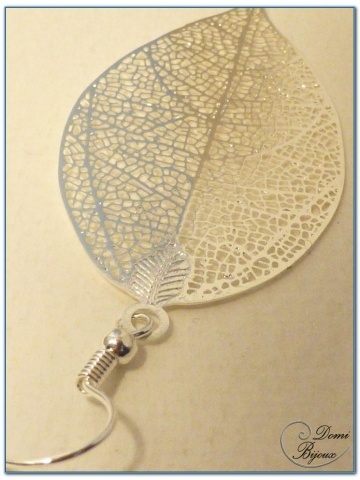 This two filigree leaves are mounted on two silver finish hooks. Very nice earrings light to wear, tou can associate with a necklace same pattern that you will find in our catalog. 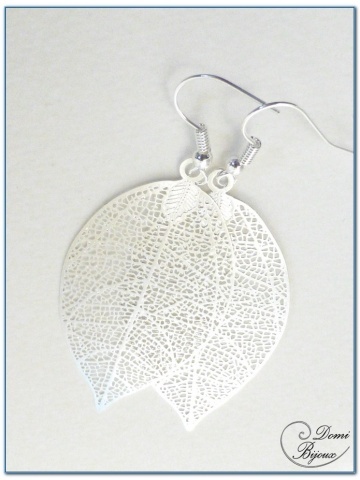 You will receive this fashion earrings in acloth pouch closed by a link to store them when you don't wear.